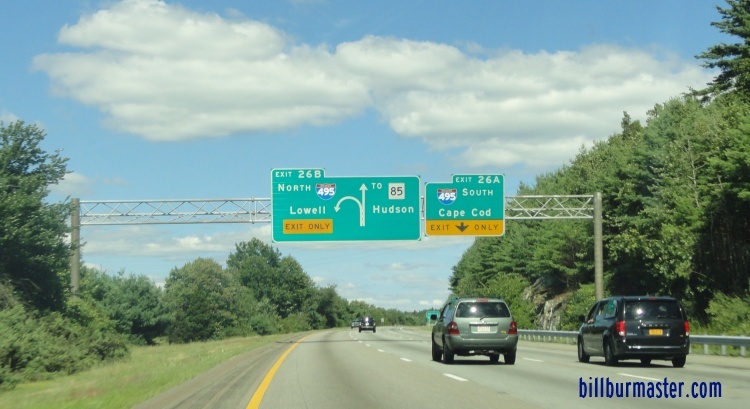 Massachusetts State Route 85 is a north-south highway near Interstate 495. It runs along the Worcester-Middlesex Counties Lines. MA St Rt 85 crosses the county lines several times. MA St Rt 85 passes through the following towns in Worcester-Middlesex Counties. MA St Rt 85 is multi-plexed in Worcester-Middlesex Counties. Massachusetts State Route 62, near Hudson. 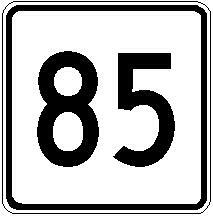 MA St Rt 85 crosses the following highways in Worcester-Middlesex Counties. Massachusetts State Route 16, at Milford. Massachusetts State Route 135, at Hopkinton. Massachusetts State Route 9, near Caordaville. Massachusetts State Route 30, at Southborugh. U.S. Rt. 20, at Marlborough. Massachusetts State Connector 85, at Marlborough. Massachusetts State Route 62, at Hudson. Massachusetts State Route 117, near Bolton.